Time to get your hopes up, Metroid fans. The series no-showed E3, but you might be heartened by what the men overseeing Nintendo's game development had to say about it. Cutting to the chase, they say they're talking internally about what to do about the series and that they'd like to talk about what's next for Metroid—for fans of the 2D games and the first-person Prime games—in "the near future." You might think this is mostly obvious, but Metroid, as Nintendo franchises go, seems to have faded from being in active sequel rotation. A new Mario might be about as certain as a new sunrise, but a new Metroid game hasn't brightened anyone's day since 2010. There hasn't been a 2D Metroid since 2004. The following is the conversation I just had about the series with Shigeru Miyamoto, who runs Nintendo's EAD development group, and Shinya Takahashi, who runs Nintendo's SPD group which oversees everything from Smash Bros. to the new Amiibo project to...that series with the female bounty hunter who can roll into a ball. This was part of a longer interview covering other Nintendo topics that I'll be sharing in the coming days. The questions were asked in English; the answers delivered in Japanese. Stephen Totilo, Kotaku: I can't ask you what's going on with Pikmin, because you've answered that for the last couple of years in a row. I can't ask you what's going on with Star Fox, because you answered that this year. So... what is going on with Metroid? Shigeru Miyamoto, Nintendo: The original creators of Metroid and the director who was the director of the Metroid Prime games who worked under me when I was producing those both now work for Mr. Takahashi, so you'll have to ask him. Shinya Takahashi, Nintendo: So it has been a while since we released the last one and we're having discussions internally about what we can do next. So at this point we have two different types of Metroid games. We have the Prime style of Metroid game and we have the more traditional style of Metroid game. We feel that we do need to take care of both of these styles of play. And the hope is that at some point in the near future we'll be able to share something about them. Totilo: It's been so long that I miss both of them. They're both great, but it's been a long time. The [2D] Metroid people don't really make them much anymore. The only one like that recently was a Batman game made for the 3DS and the Vita that was created by some guys who used to be at Retro. So I miss that style of game. 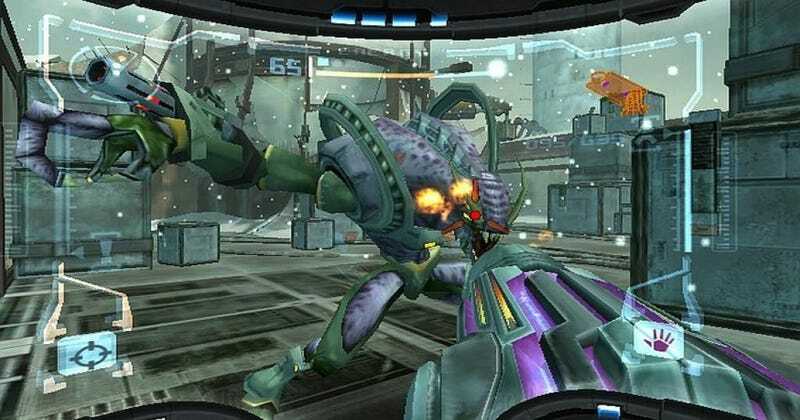 As for Metroid Prime, nobody at all makes anything like that. So in other words, if you don't do it, no one will. Totilo: I'll get back to that in a second, but which of the two styles do you guys like better? The 2D or Metroid Prime? Okay? So Metroid and Samus haven't been just relegated to Smash-roster status, nor does it seem like either beloved style of Metroid game is being relegated to history's dustbin. It sounds like there's still hope for new 2D and even new Prime games in the future. In due time. Nintendo's rolling out plenty of other sequels and brand-new games in the mean time. Look for tons more from my interview with both men in, uh, the near future (probably a nearer future than theirs! ).